At the Cowboy Action Shoot on Saturday and Sunday, almost everything was the same as it has been in recent years. 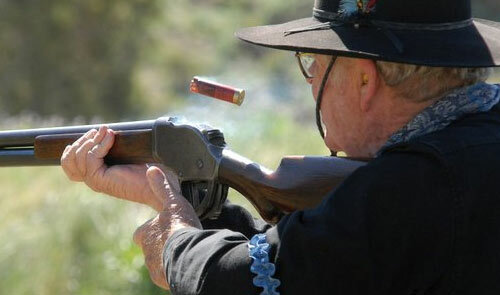 Cowboys, cowgirls, gunslingers and lawmen all lined up to take down targets with deadly precision at the Bears Ears Sportsman Club during Grand Olde West Days. The rifles, shotguns and pistols were blazing, but Northwest Colorado Rangers member Stacie “Sidewinder Sadie” Ossen said there was one major change this year.